On January 26th, a proposed executive order was released by President Trump that would significantly reduce the number of refugees entering the United States. Denver Colorado responded by rallying at the Colorado State Capitol and with a loud shout back! The Executive Order was signed January 27th, at 5 PM EST confirming that there will be a significant reduction of refugees allowed to enter the U.S.
An immediate ban on all refugees being resettled in the U.S. for 120 days. An indefinite ban on all refugees from Syria. A reduction in the number of refugees allowed to be resettled in the U.S. by more than half. 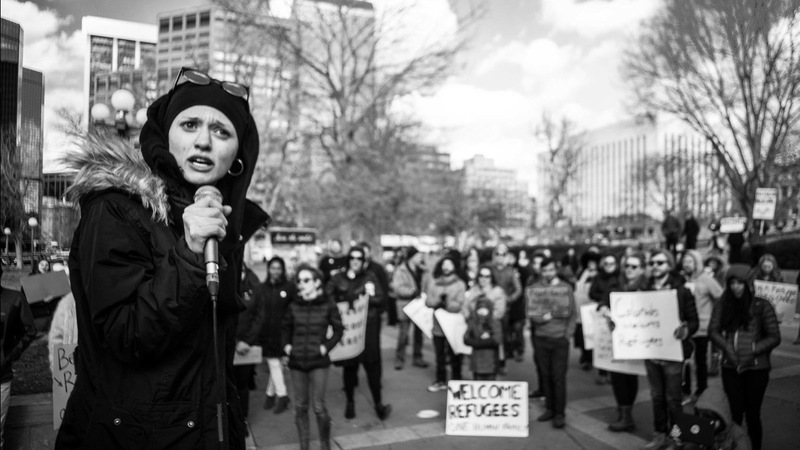 Amal Kassir – shares her story and voice for refugees and immigrants. A few strong leaders stepped up to the mic to share their voice and stand with refugees during this radical time of discourse. There was an Afgani woman whose son was in the process of reuniting with her in the U.S. but likely will no longer be able to, a Syrian-American Obeid Kaifo from the Shish Kabob Grill, a strong muslim community leader Nadeen Ibrahim, an international spoken word artist Amal Kassir and Flobots / NO ENEMIES leading rally songs. It is time to “Stand With Refugees”! Right now, more than ever, our refugee neighbors need us to stand alongside them. These families are kind, carrying, innocent, and are worthy to call Denver, CO and the United States of America home. The fact is that refugees in our country have been thoroughly vetted. It is already a long and tedious process to enter the US. These families are mostly women and children fleeing violence and persecution. 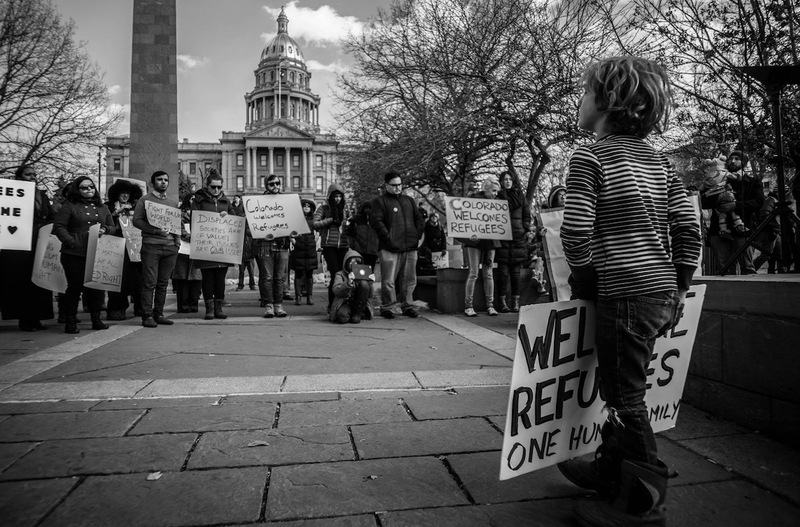 We are just as susceptible to refugee status as those who currently need our nations refuge. WE could be the next REFUGEE! How do we want to be treated by our neighbors if we, the people of the United States of America, were forced to leave because of war, persecution, or natural disaster?